Maya de Vitry (formerly of The Stray Birds) is bringing the music from her solo debut Adaptations on the road! She will be traveling with a trio, featuring Ethan Jodziewicz on bass and Jason Burger on drums. She is thrilled to kick off the tour with a very special show in her hometown of Lancaster, PA. Released on January 25th, Adaptations “moves between the contemplative and the celebratory, the incantatory and the ebullient, always pushing us to examine the ways we fit, or don’t fit, into our worlds” (No Depression). Existing in a state of disorienting motion and in the collective identity of a touring band, by 2016 and 2017 Maya found herself facing persistent inner questions of how to grow into her own voice and creativity. By the summer of 2017, Maya and producer/engineer Dan Knobler assembled a band in Nashville to begin making demos of her new body of work. However, once they got the band (Jason Burger, Sam Grisman, and Anthony da Costa) together and started laying down tracks, Maya and Dan realized that they had begun making her first solo record. Lindsay Lou, Courtney Hartman, and Oliver Wood, to name a few, were eager to lend a hand and a voice to the project. After a deeply reflective spell, this seasoned performer and fresh solo artist is grounded and blooming. Rolling Stone Country has praised de Vitry’s ability to balance “intensely personal, microscopic style of storytelling with a straightforward, accessible delivery.” In their premiere of her first single, Folk Alley commended “Go Tell A Bird” for doing “…everything a folk song is supposed to do— and… exceptionally well. It is both simple and complex, digestible and impossible, distilling some of the most seemingly complicated, urgent and timeless human debates down to 35 words in fewer than four minutes. Its instrumentation is collaborative and swelling, like the cooperation between a pair of wings and a good hard gust.” De Vitry has also released a music video for her single “My Body Is A Letter”, which NPR Music premiered and deemed “nothing short of astonishing”. 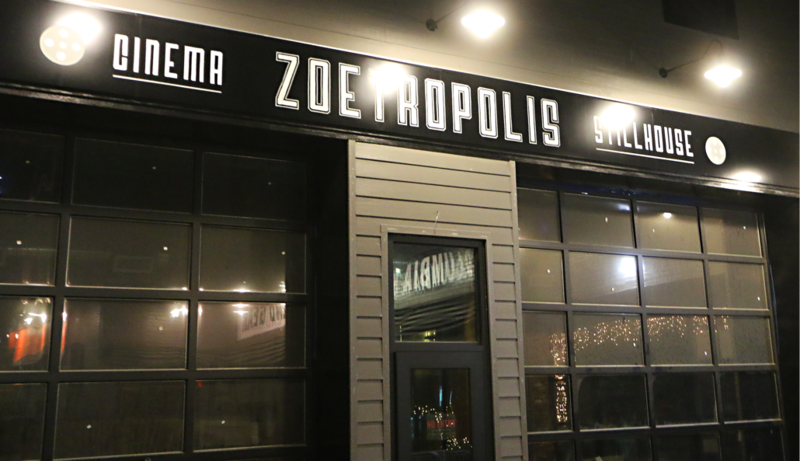 Be the first to know about all the latest and greatest coming soon to Zoetropolis!